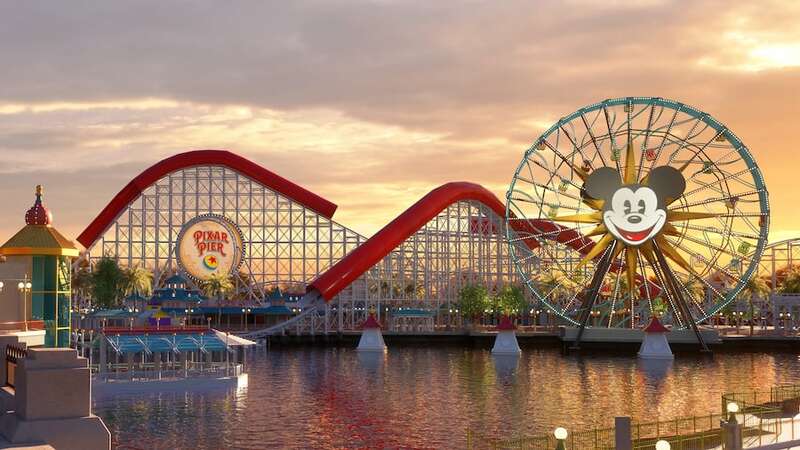 Discover a whimsical boardwalk where Pixar stories and characters come to life! Enjoy the delightful adventures of a magical re-imagined destination! Explore the world of Pixar, filled with special attractions, dining and shopping for you and your family. Hop aboard for a thrilling coaster adventure with baby Jack-Jack! Soak up grand views of the park with a leisurely Ferris wheel spin. Test your skills at games inspired by A Bug's Life, WALL-E and more. In 2019, take a rootin'- tootin' spin on one of Jessie's critter pals. Take aim during a midway-style, 4D shootin' game. Indulge in a drink while surrounded by Pixar memorabilia. Treat your taste buds to turkey legs and chicken drumsticks. Dig into the frost with snow-capped, lemony-yellow sweets. Savour a crispy treat, presented with chivalrous Spanish flair. Try an outrageously tasty hot dog! Enjoy Bing Bong's saltwater taffy and "tears of sweets." Shop for goodies featuring many favourite Pixar films.